She's battered and bruised a bit like Christchurch! 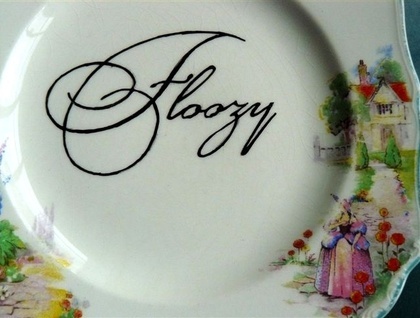 This Floozy is a doozy. 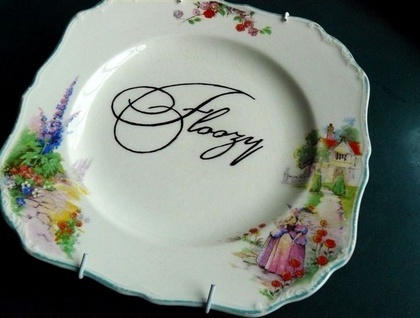 Reworked vintage 19cm English Meakin square edged plate with pretty borders of country garden scene, flowers, cottage and damsel. 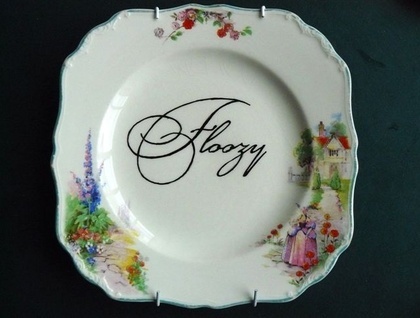 Text is in heat fused Porcelaine ceramic paint, is hand painted and non-toxic. 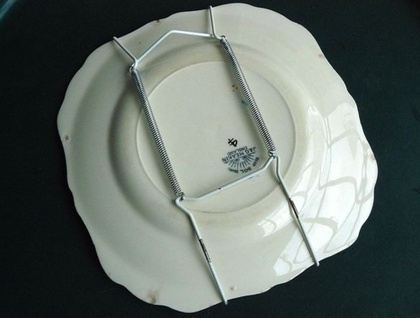 Food safe and with a hanger for display, this plate has a worn vintage appearance. Three old chips adorn the rear but the front is complete so great for display. Product care label is attached.